The zero-rating of goods for disabled people depends in part upon the status of the recipient and part upon the use of the goods. The person must be chronically sick or disabled, and the goods must be used for their own domestic or personal use only. With a physical or mental impairment which has a long-term and substantial adverse effect upon his/her ability to carry out everyday activities. Domestic or personal’ use means that the supply must be made available specifically for the use of an eligible individual (or series of eligible individuals). Supplies made widely available for a whole group of people to use as they wish. For example, a stair lift in a charity building for the use or convenience of all chronically sick or disabled persons who might use the building would not qualify for relief. This is because the charity is making the lift available for the general use of all those people who might require it, rather than for the personal use of specified individuals. 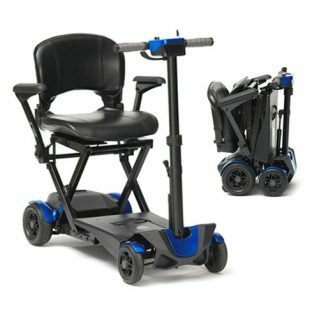 Next Q: Can I use my Mobility Scooter on the motorway?